We believe your dreams matter. Click below for our calendar of upcoming workshops and webinars. It’s More Than You Think! Learn 7 factors that will likely increase your cost of living in the future. Many financial matters compete for your attention: Debt payoff, retirement, college for you children and perhaps a 2nd home. Listen as to why your would want to consider protection the first priority. Americans are saving more these days. Especially millennials. We know why to save: For emergencies, for retirement, to afford big-ticket dreams like home ownership or opening a business. But how to save is another matter. Are you set up for Financial and Emotional Confidence? Want More Information, Tips & Updates? 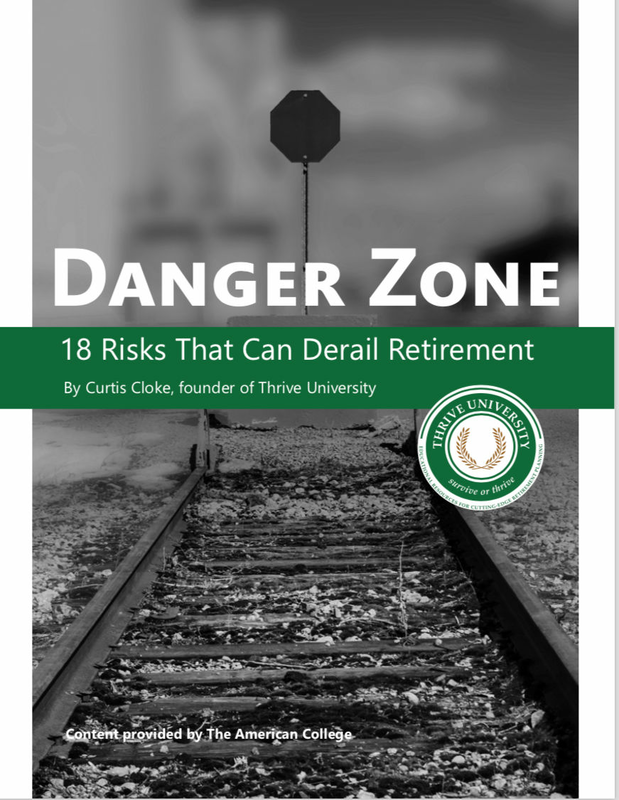 Request Your Free Report..."Danger Zone-18 Risks That Can Derail Retirement"